From June 2nd to 11th Envol Vert hosted employees from the company Maisons du Monde on the Caribbean cost. 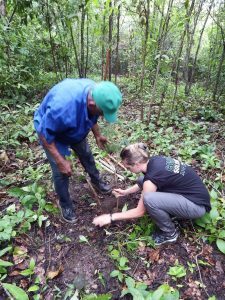 The association’s aim is to raise awareness among employees of the high stakes of deforestation and to unite them around a specific agroforestry initiative. This initiative concerns the small village of Los Limites which lies in a zone particularly impacted by deforestation of the dry forest and groups together men and women of the village of African descent, with no land rights. The aim is to restore the forest ecosystem and preserve its biodiversity and water resources, most notably by planting an iconic tree: the Maya Nut Tree. There is not only an environmental but also a social aspect to this enabling farmers to cultivate for longer periods on these lands, to diversify crops for improved food security and to develop alternative and improved revenue sources through processing produce. The Maisons du Monde employees met Envol Vert’s on site teams and experienced the daily life of the families involved in the project. Benefitting from Solidarity Leave allowed them to discover a new culture, to forge new links and discover the work of Envol Vert on this project financed by the Maisons du Monde Foundation. “Our presence here helps highlight their work and strengthens their belief in the importance of their actions via our exchanges with them and the interest we’ve taken in their work” says Sabine from the Marche-en Famenne outlet in Belgium. “This trip has allowed me to rediscover what solidarity and working as a community are really all about – something which is all too often lost in our own country” says Caroline from the HQ in Nantes. 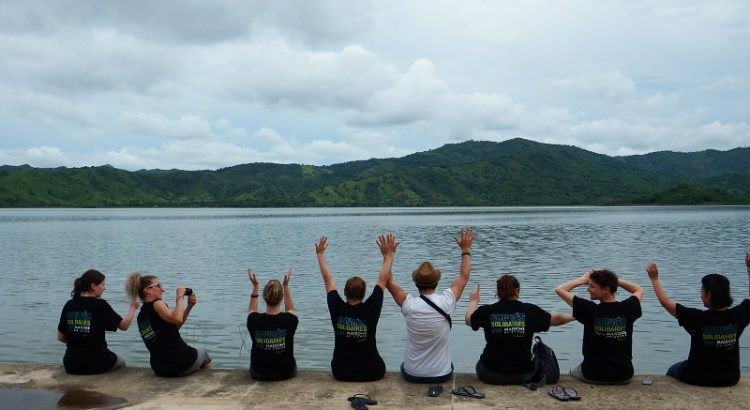 This adventure is not limited to time spent in Colombia, the trip is also an opportunity for each to reflect on the problems of consumerism, sustainable development and the CSR and environmental policies practiced by Maisons du Monde. 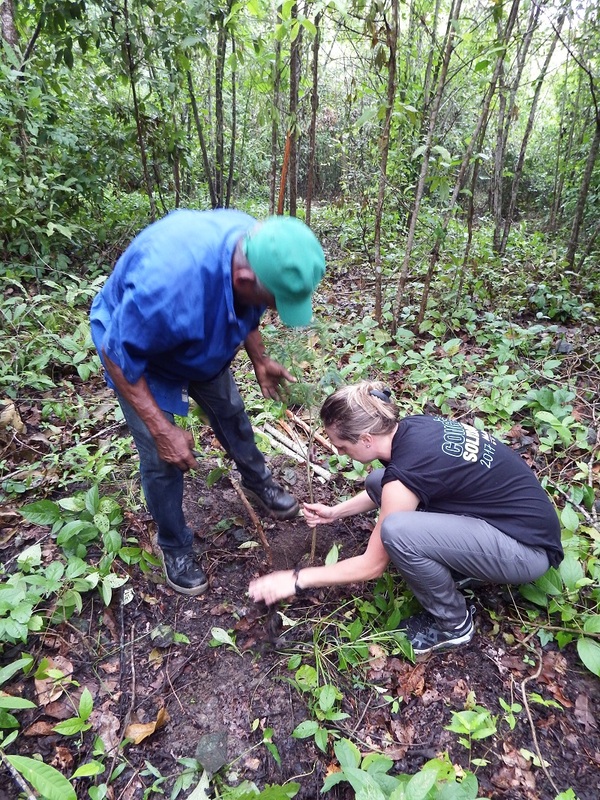 Julie from the outlet in Metz declared: “This trip has shown me that reforestation is absolutely necessary, that each seed is precious and now I can measure the true potential of trees and nature to impact the daily life of man”. “These past 10 days with Envol Vert have shown me the importance of associations working with local communities and has bolstered my confidence in the key players in the fight against climate change” concluded Nathalie from the Thonon-les-bains outlet.